Now available for order! Metanarrative—the book. A thousand generations. One story. Looking for a beautiful gift for family or friends? 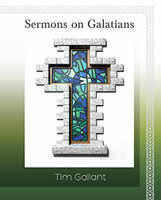 Lovingly conceived and beautifully typeset, Tim Gallant’s Metanarrative is suitably non-technical and engaging for readers with little biblical background, yet still sufficiently meaty to enrich lifelong Christians. Wedded to a set of epic music lyrics in the margins, the main text ably traces the narrative arc of the whole Bible, unpacking a story of love, truth and beauty. 8.5x8.5" paperback; 100pp. + front matter. The companion music for Metanarrative is an ongoing project. The latest versions are available for free download from the Metanarrative project site.